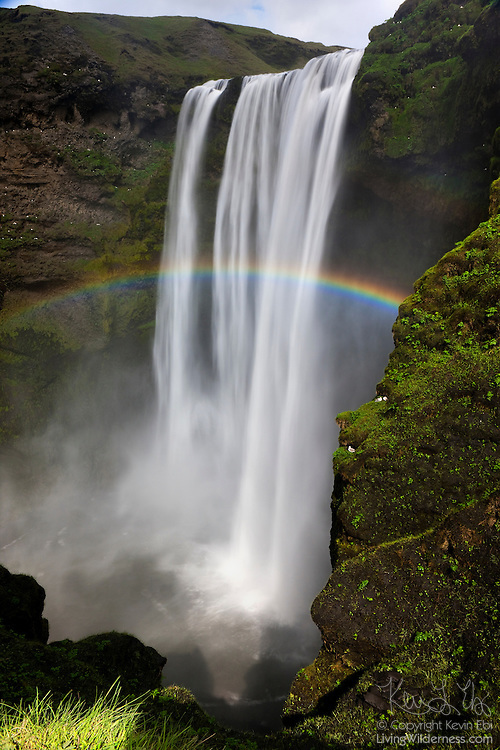 A bright rainbow stretches across Skógafoss, located in southern Iceland. Skógafoss is one of Iceland's largest waterfalls, dropping 197 feet (60 meters). According to legend, the first Viking settler in the area, Þrasi Þórólfsson, buried a treasure in a cave behind the waterfall; the waterfall is so powerful no one has been able to get it.